Bolse offers the most innovative new products to tech savvy consumers. They always stay a step ahead of the changing marketplace no matter how quickly technology changes. Bolse can help you stay ahead. Bolse sent me a couple of items to try out, and I think they would be great stocking stuffers. 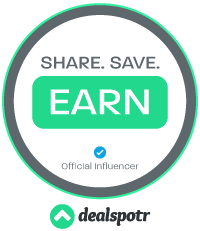 Everyone who has an iphone and a car can benefit from the first item, and anyone with an iphone can benefit from the last two. Let's check them out. 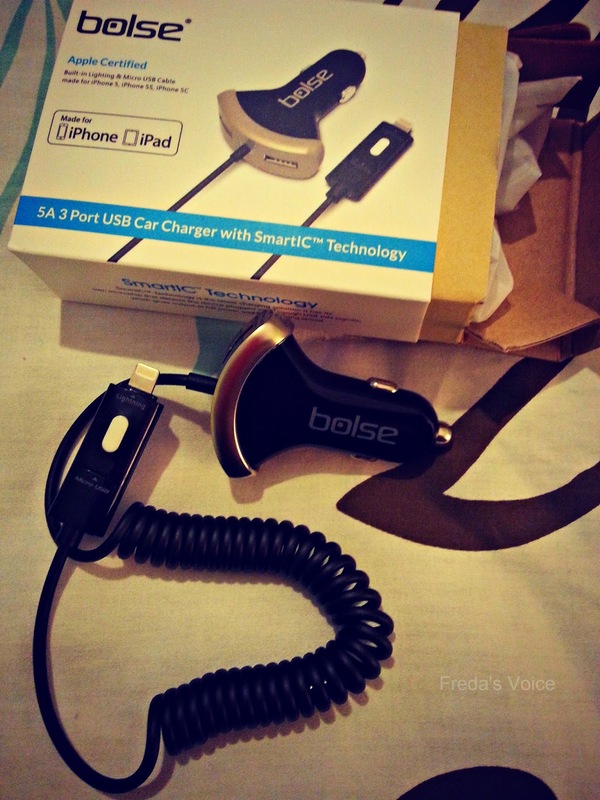 This is the Bolse® [Apple MFi Certified] 3-Port (25W / 5A) High Output USB Car Chargers, Build-in 2-in-1 Lightning & Micro USB Cable With SmartIC Technology Charging Station for iPhone 6, 5; Samsung Galaxy; iPad Air; Motorola and HTC; Tablet; GPS. It is a handy item to have in your car when you travel anywhere. I love the design of it, and was thoroughly impressed it can charge both my Samsung and my hubby's iPhone. It has a great hideaway Micro USB port, and its' cord is just the right length between the charger and you if you need to text or talk. It looks like it gives less leeway than it does. These two cords have the same uses, they are just different colors. These are the FRiEQ® 4-Feet Gold Plated 3.5mm Male to 3.5mm Female Car and Home Stereo Cloth Jacketed Tangle-Free Auxiliary Stereo Audio Cable Extension Fits Over Tablet & Smart Phone Cases For iPad, iPhone, Samsung Galaxy, Android, MP3. And they are quite handy too for tech and music lovers! 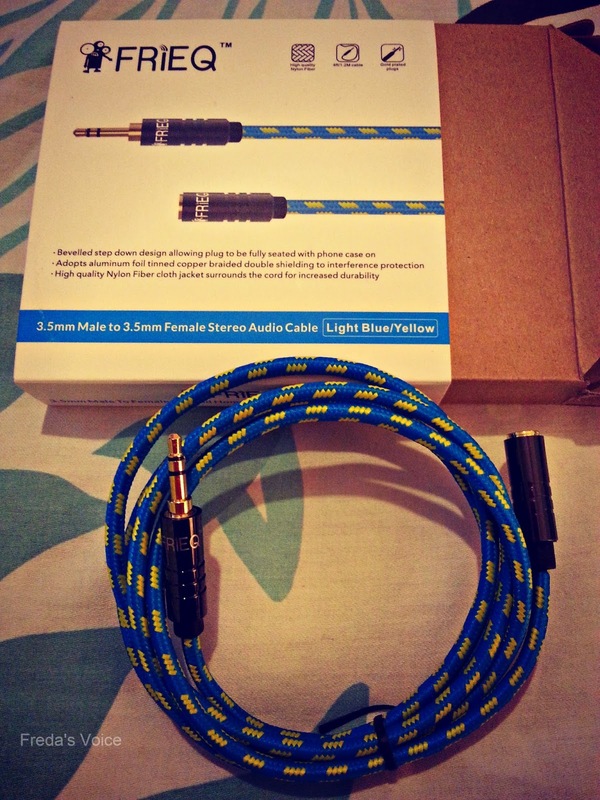 These cables are awesome. Mind you it took a minute to realize what exactly the do. Well, they hook up to your phone, tablet, etc, and hook into your car stereo! Now you can listen to the tunes on your device in your car! How cool is that?! I know some teenagers that drive that would LOVE these in their stocking! 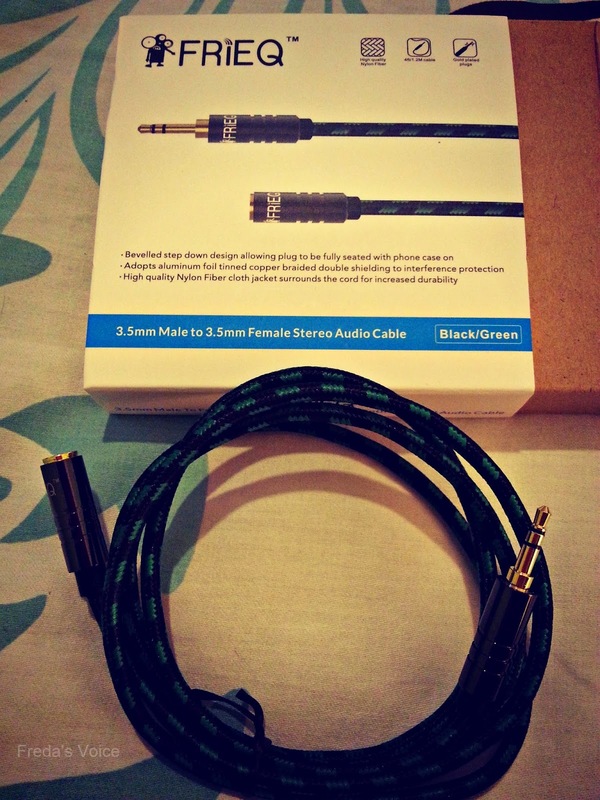 Great quality, these cables are durable and sound great. They have gold plating and are bound in a cord to protect them. You can visible see how high quality they are when you pull them from the box. Just a few ideas from Bolse and FRiEQ to get your stocking filled. Be sure to check out the website, or browse Amazon, for more great products available. **No compensation was received for posting. Product was received to facilitate a review. Opinions are owned by this site. Sounds like a gift that almost anyone can use! Very handy. :) Thanks for sharing!